Meet my most favorite outfit in my closet, it gives me allllll the heart eyes. You know how you wake up some morning and you feel like wearing something pretty and it somehow works with all your favorite outfits. That's what happened here. 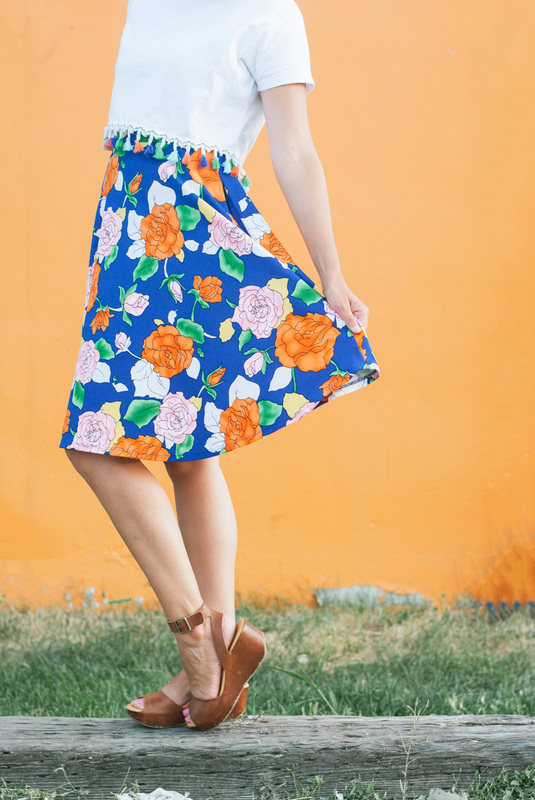 A favorite skirt. A favorite shirt. A favorite pair of shoes. 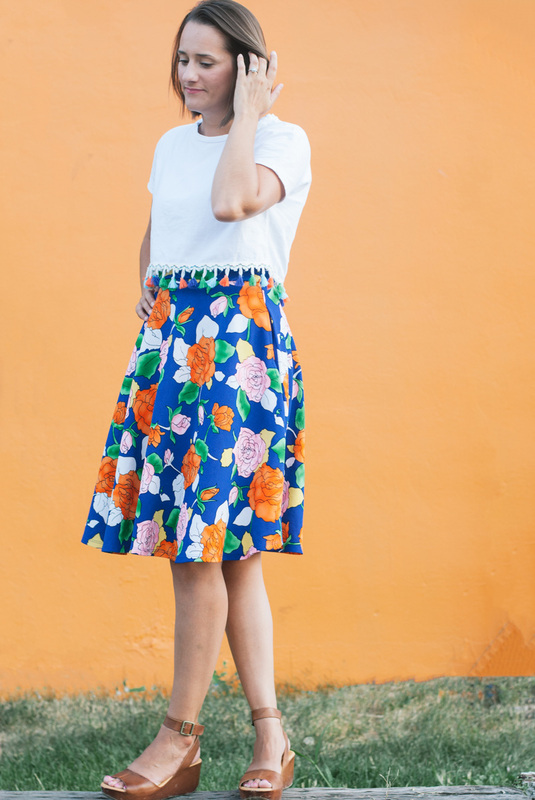 The first time I wore this, a few co-workers complimented this cute "dress" and it made me laugh - because that's exactly what this crop top does, transforms an outfit you wear too often into something totally new. My favorite part about this outfit is how easy it is to wear anywhere - grocery shopping, playing with my kids, heading to work, cooking dinner. 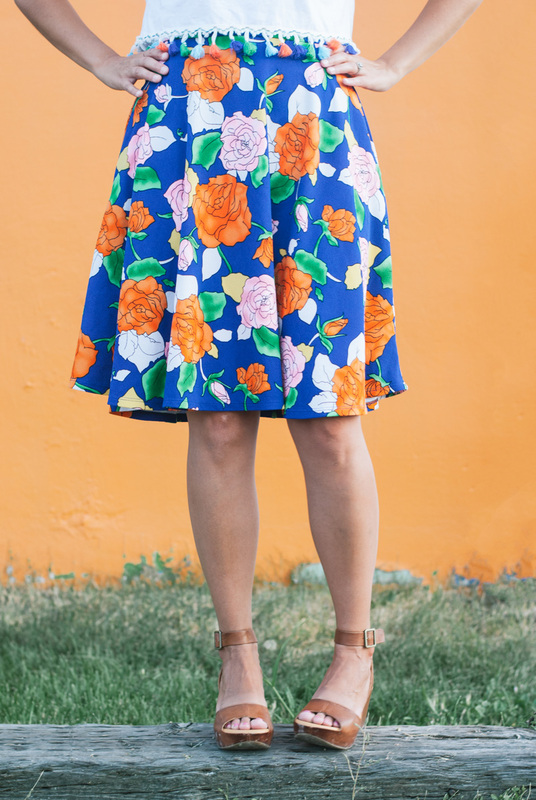 The ironic part about this whole outfit is how perfectly the pom pom colors match the floral in the skirt. How does someone get that lucky? But what really takes the cake here are these platforms. Platforms were totally a 70s thing making a big, big comeback that equates to a whole lot of happy. A version of heels that boost your height, but keep your feet flat... yes, happiness! How's that for a third fashion post?